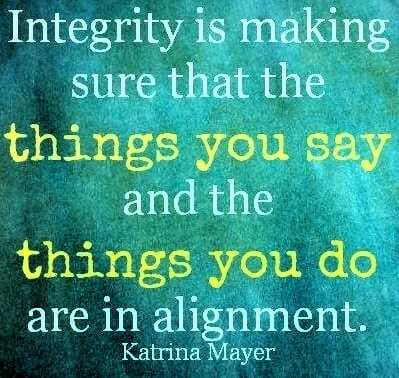 Integrity is doing the right thing even when no one is watching. 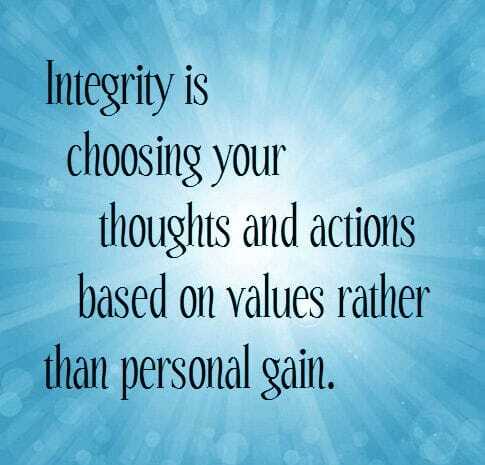 A genuine person will be honest and conscientious, no matter how much sacrifice that entails. An insincere person hides behind lies, hypocrisy and deceit. Wanting to please others or not wanting to upset them is not a good enough reason to compromise what we feel and know is the right thing to do; otherwise we climb on the slippery slide to a life without integrity, which is really no life at all. If you stand for nothing, you'll fall for anything.